The ‘Festival of India’, as the ‪promoters of the Indian Premier League (‪IPL‬), calls it, started on 9 April. It’s IPL time so are you ready to break your limits this IPL season? 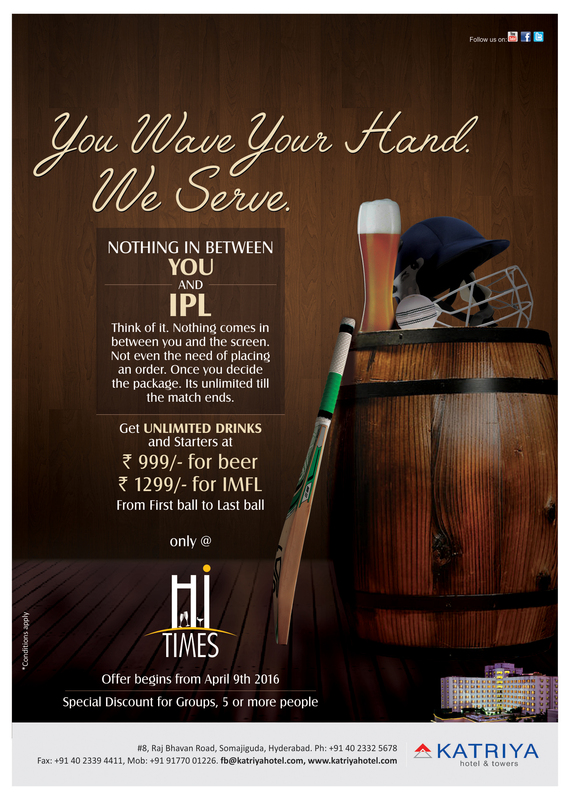 Watch live IPL in Hyderabad at your best spot – Hi-Times restaurant. Presenting a unique, unlimited offer for Hyderabad IPL matches – unlimited drinks, big screen and special discounts for groups 5 or more people. Avail the best hotel deals in Hyderabad and get unlimited drinks and starters at reasonable rates from the first ball to the last, this IPL season. All the lovers of cricket in Hyderabad and visitors to Hyderabad plan a stay or attend the event of live cricket in Hyderabad on the big screen in full swing at Hi-Times restaurant. Come cheer up the team and have a fun filled entertainment. “Nothing In Between YOU and IPL”. Think of it. Nothing in between you and the screen. Not even the need of placing an order. Once you decide the package it’s unlimited till the match ends. 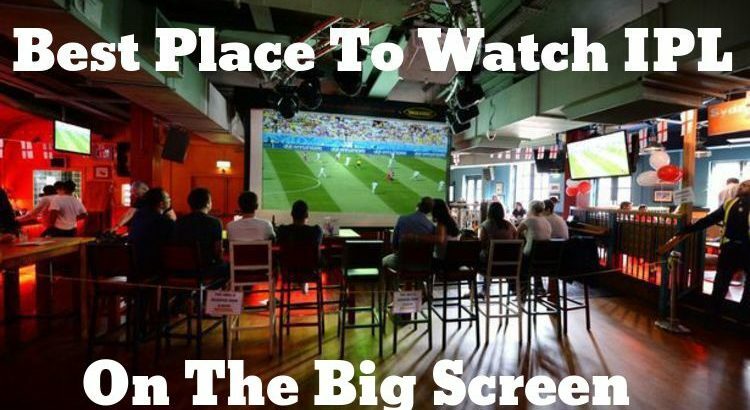 Watch live IPL in Hyderabad on the big screen and a complimentary mug of beer. Exclusive Deals/Offers for Hyderabad IPL fans this IPL Season – special Mocktails, Beverages & Shakes and a lot more. Hurry, book your seats for live cricket in Hyderabad or call at +91- 40- 23325678, 4066135678. Plan and Watch IPL-6 live at the one and only Hi-Times restaurant and experience the chilling and thrilling action of cricket game on the big screen. Reserve your Seat before its HOUSE FULL!